The goal of InterMark’s Affordable Properties Division is to create value for each owner by maximizing the return on investment and preservation of the asset, while simultaneously assuring that the property remains in full compliance with all governmental requirements applicable to the asset. Since 1986, InterMark’s specialization in management of LIHTC properties has continued to evolve and includes new LIHTC construction, in which we manage several lease-ups annually for certain portfolio clients. InterMark is educated in the restrictive time frames in which an owner must place a property into compliance, and aggressively pursues maximizing full tax credit income in the property’s first year. InterMark currently boasts three staff members with NAHB Housing Credit Certified Professional (HCCP) Tax Credit Designations as well as several other candidates for the Designation. The management of Low Income Housing Tax Credit apartments makes up approximately one-half of InterMark’s current portfolio. Presently, InterMark manages both Conventional/Tax Credit and Rural Development 515/Tax Credit properties. "Some companies only use generic training seminars available nationwide. InterMark has gone the extra mile by developing a comprehensive, in-house Compliance Training Program." 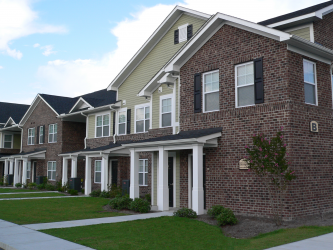 The Internal Revenue Service's vigorous focus on Low Income Housing Tax Credit compliance remains in full-force and owners continue to find themselves under pressure to conform to the stringent guidelines of the LIHTC program. In the past, owners who have not understood the inherent risk of these properties have granted management to companies who have not had the knowledge or the resources to adequately protect the owner against the risk of recapture of tax credits and by extension, great financial loss. That is why InterMark is dedicated to in-house and external training of all Tax Credit staff members to ensure the most conservative compliance requirements are consistently maintained.